Hawthorn School for Girls is committed to maintaining the confidentiality, accuracy and security of your personal information in line with principles established by the Personal Information Protection and Electronic Documents Act (PIPEDA). When you, as a parent, student, alumna or other individual, provide personal information to the school such as your name, address, and telephone number, it is shared with our Parent Coordinator, staff and volunteers so that we are able to communicate with you. Information provided at registration is used to connect our constituents. All information is stored in password-protected databases and in secure files on the school premises. Access is restricted to authorized staff who have been trained in dealing with our privacy standards. Under no circumstances is this information rented, sold or given to any organization outside of Hawthorn School for Girls. Third parties, such as mailing houses, are required to adhere to these privacy standards. You have the right to access your personal information at Hawthorn School for Girls upon request by contacting the Director of Administration. The law allows 30 days for a response and 60 days for access. 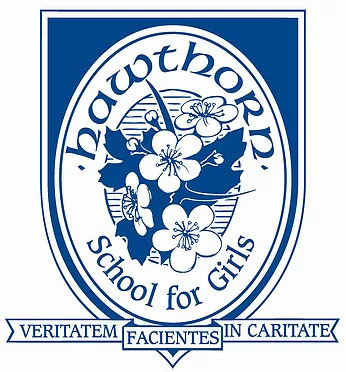 If you would prefer not to have your personal information shared or have any concerns about the Hawthorn School for Girls Privacy Commitment, please contact the School Head. The Hawthorn School is committed to providing services in a manner that, as much as reasonably possible, respects an individual’s dignity, independence, integration and equality of opportunity, including, for those with disabilities. In its ongoing efforts to strive for accessibility, the School endorses the Accessibility for Ontarians with Disabilities Act, 2005 and the regulations supporting this Act.